Cuimhnichibh air na daoine bhon tàinig sibh! Margaret “Maggie” MacLEHOSE of Glasgow, Greenfield Park and Montreal, the descendant of Archibald McLEHOSE (c1748), a Handloom Weaver of Barony, Glasgow. 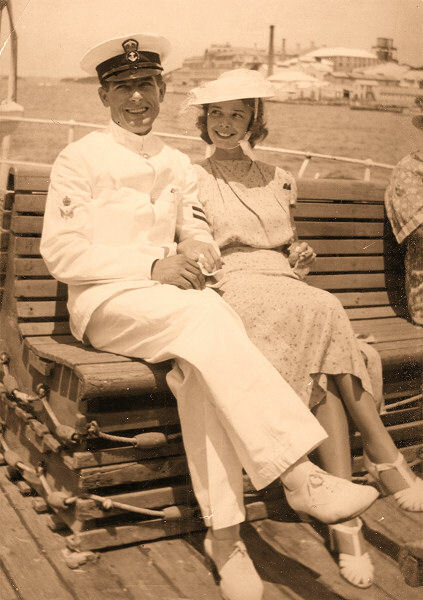 The first four forebears were the parents and step-parents of George Arthur "Art" BROWNESS and the last two the parents of Evelyn Rita PURDIE, both of whom are shown at left in Bermuda, May 1938, shortly after their marriage. a one-name study and research on the BROWNESS (or BR*N?S*) surname.